Leeds Parent Vision will provide the opportunity for parents and carers of children and young people with visual impairment in Leeds to meet together regularly to get to know each other and to share stories, information and ideas. There will also be an online network which will allow those unable to attend the group sessions to get involved. 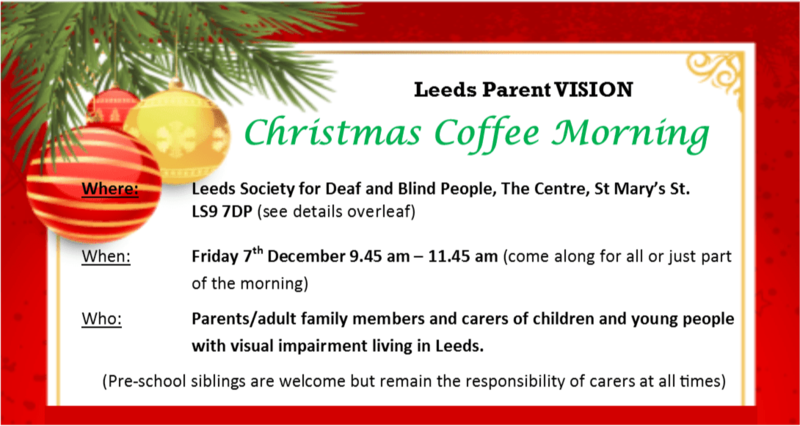 Leeds Parent Vision will be run by parents for parents, with the support of Leeds Society for Deaf and Blind people who will provide a venue for regular ‘get togethers’ and who will offer ongoing support with organisation and communication.